You may have noticed that I’m selling some of my original mono prints as giclée prints. But what exactly is a giclée print and how does it compare to the original? 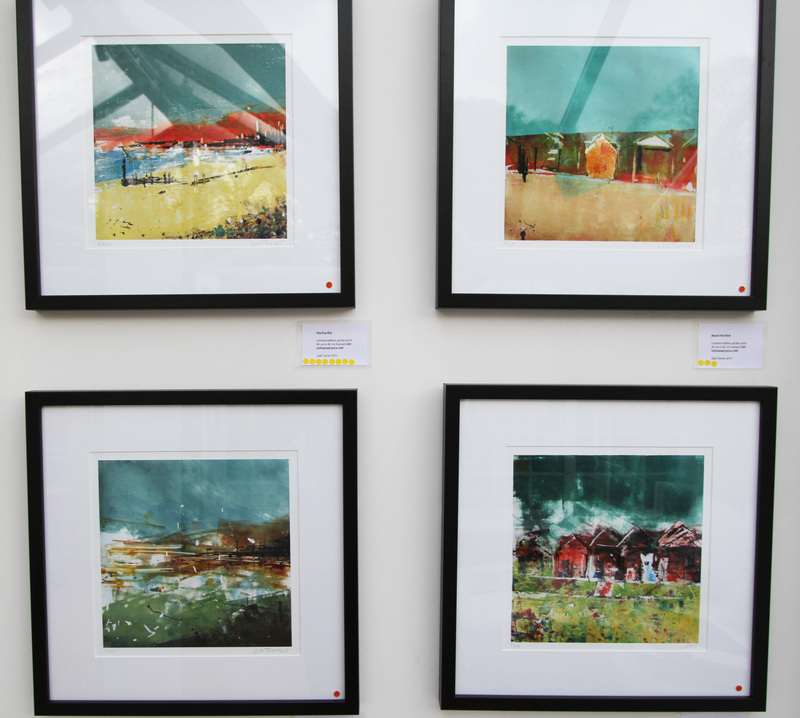 Giclée prints are printed on a variety of substrates or mediums, the most common being cotton rag, canvas or genuine artist papers. Cotton rag or ‘watercolour’ Giclée paper has been popular for many years, these fibrous papers transform a professional scan or photograph of one of my monoprints into a painterly, soft image that adds a classy, decorative feel making it perfect for everything from portfolios to art prints for exhibitions. How do I get my giclée prints made? I take my original mono prints to a gallery where they are scanned or photographed at very high resolution and then digitally enhanced to create the closest match as possible to the original image. A proof is made and I then check this against the mono print. Adjustments are made if necessary. A special printer is used, not your regular ink jet printer which can print up to A0 in size. I can recreate the original image in any size, but I do tend to offer as standard a giclée print in a 40 x 40 cm mount to make it easy for customers to purchase frames and mount it themselves. This size is economical to produce and means I can sell the prints at £40 each. Some customers have asked me to reproduce prints at the original size and framed in exactly the same way. The external mount is then 50 x 50 cm. I can do this as well, prices are usually around £110 depending if you want a single or double mount. I limit my editions of giclée prints to 125. Each print is signed and numbered. 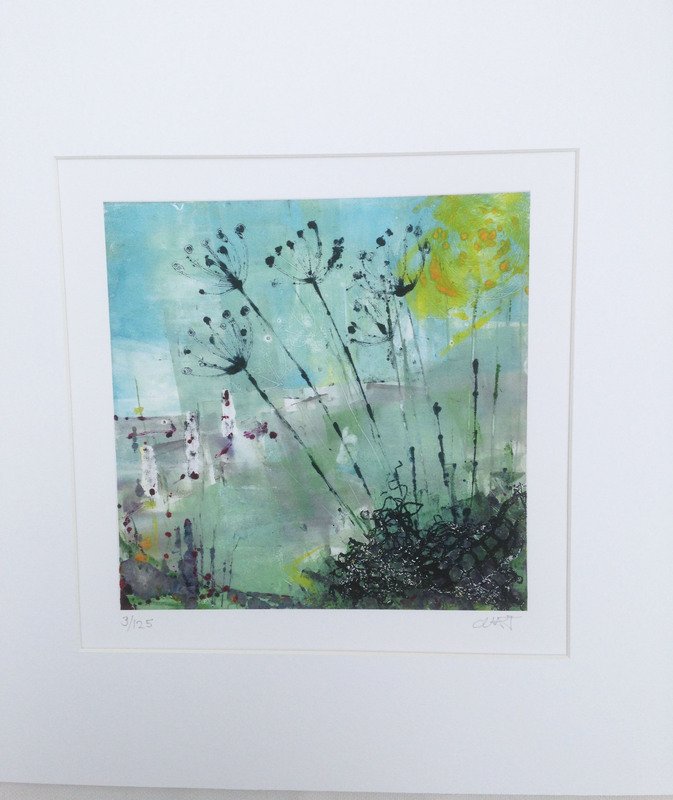 My latest giclee print of Meadow Flowers proved really popular at The Emsworth Arts Trail on the final weekend. I had sold the original the first weekend and was asked by dozens of people for a print. I was delighted with the final image, it was almost impossible to tell it apart from the original. You can see this image and other giclée prints by visiting my shop. I had no idea of your work or talents. I am only interested in an original screen print 1/1 of a local Emsworth scape??? Thank you Gee for coming to look at my gallery. I’ll get busy once I get back in the studio this September making a big version of the deck houses.